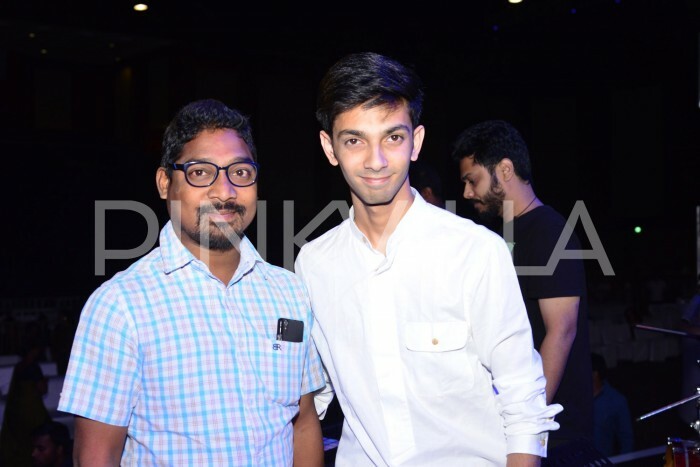 The Agnyaathavaasi audio launch was attended by Pawan Kalyan, Trivikram, Anirudh and the rest of the team. Pawan Kalyan is beyond any doubt one of the most charismatic and successful superstars in the Telugu film industry today. At present, he is gearing up for the release of his next big screen outing ‘Agnyaathavaasi’. The film has been directed by noted filmmaker Trivikram Srinivas and has already created a buzz amongst movie buffs courtesy its awesome first look poster. And, now, it seems that the buzz surrounding the film is all set to receive a shot in the arm. 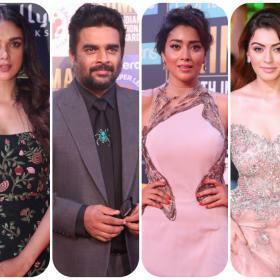 As it so happens, the audio launch of ‘Agnyaathavaasi’ was held yesterday and it proved to be a star-studded event. 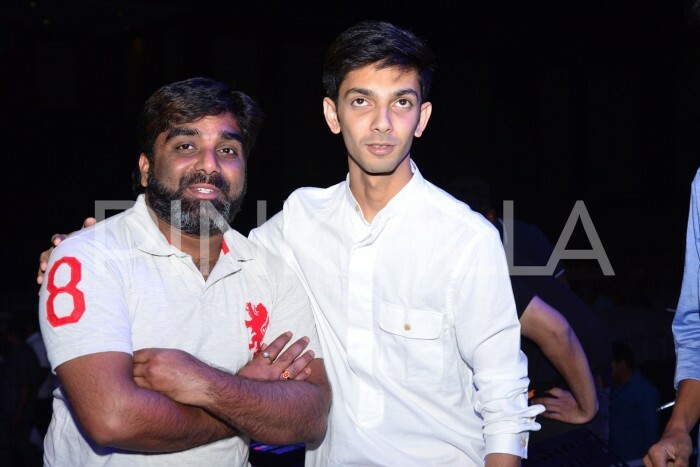 At the audio launch, PK spoke about his connect with his fans and said that they are his lifeblood. He added that their love is what keeps him going. “I need to thank my nation for giving me this kind of love and affection through cinema. Firstly, let me apologise to all those people who couldn’t gain entry to the venue. We have a space constraint so we couldn’t accommodate each and every one of you. But there’s place for each of you in my heart. I’ve always wanted to do something good and give back to the society. I believe I’m able to achieve that through cinema and politics. When I started my career, I told my family I’d do 10-12 films. Post Kushi, I thought of doing five more films and calling it quits because I wanted to serve our nation. But, the love of my fans has made me do 25 films,” he added. Interestingly, while PK was speaking, a fan somehow climbed onto the stage and tried to click a selfie with T-town’s ‘Power Star’. As expected, security personnel tried to chase him away but the star stopped them and clicked a selfie with him. That is what we call being humble! During the event, P:awan Kalyan also spoke about his journey in the industry and said that at times he did feel jealous of his contemporaries but his fans helped him overcome the negativity. “Unfortunately, in this line of work one does unknowingly develop jealousy and hatred towards others for various reasons and this bothered me and it prepared to bid adieu to cinema. The failure of Johnny didn’t affect me as much as how it affected the people around me. This bothered me very much and I built a wall around myself to keep away such people. Nevertheless, my fans stood by me and stopped me from leaving cinema. I might not able to meet and spend time with each of you but my heart always beats for you,” added PK. As it so happens, PK will soon be entering politics full timeand added a new dimension to his life. Talking about these plans, the star said that his only purpose was to serve the nation. “My aim is to serve this nation while I’m physically fit and strong. As much as I have done for my fans through cinema, I’d like do the same via politics for my nation,” added Pawan Kalyan. Besides PK,, Trivikram, Anirudh Ravichander and the leading laddies—Anu Emmanuel and Keerthy Suresh. 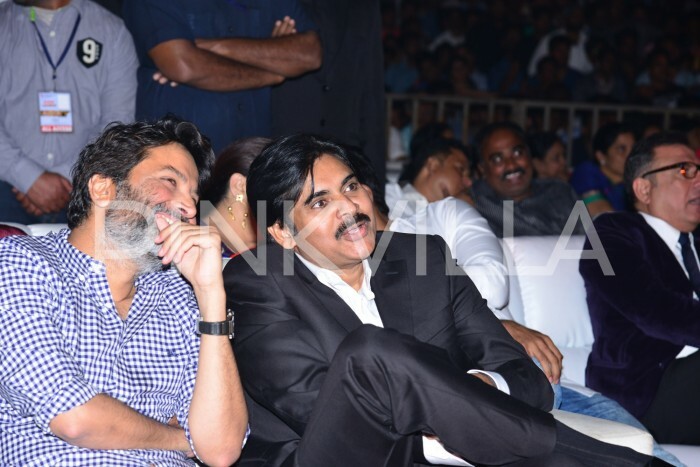 Talking about working with PK, Trivikram said that iy took him 2 minutes to say yes to ‘Agnyaathavaasi’. “He was in Italy when I called him to pitch the story. Two minutes into the narration, he stopped me and said let’s do this film. He hasn’t asked me a single question since that day. He did everything I asked him to do. In Agnyaathavaasi, you’ll see a different acting avatar of Pawan Kalyan. I hope our journey never ends and we continue to work again,” he quipped. Well, we wish the team of ‘Agnyaathavaasi’’ good luck and hope the film does well when it hits screens this Sankranti. 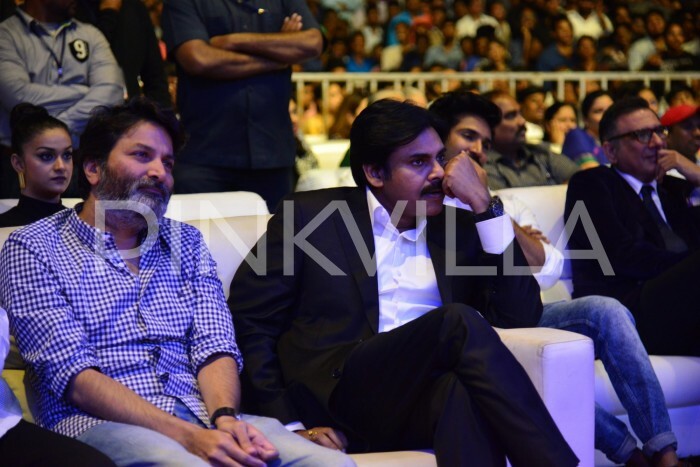 Pawan Kalyan at ther audio launch.